Our Can Coolers and Koozies can be personalized with any message or logo you have in mind. Custom can coolers and koozies hold any 12 oz. soda or beer and are a unique and fun way to promote your business or event. 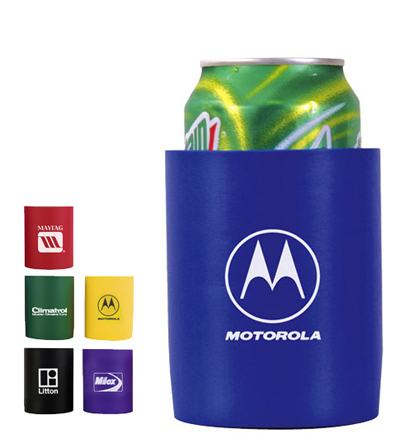 Our Can Coolers and Koozies can be printed on both sides in one color with either silk screened or puffed imprint. 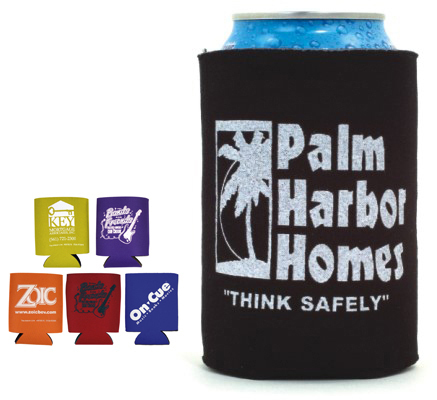 Order your can cooler or koozie in two available styles: Pocket (Collapsible) or Foam (Not Collapsed). $40.00 (One-Time) No Charge on Exact Re orders. For additional information on our Bar, Nightclub, Restaurant, & Catering Supplies, please contact us at 1-800-233-0828. Feel free to browse our selection or Custom-Imprinted Glassware, Custom-Imprinted Plastic Glasses, Neon Serving Trays, and more.